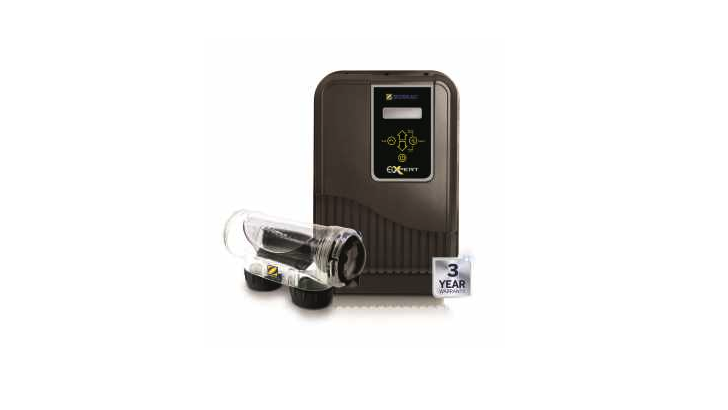 Setting up a chlorinator can often be a hassle, so we made Ei Xpert as easy as possible straight out of the box. Ei Xpert comes preset with summer and winter modes, all you have to do is set the time and select the mode. Or you can override the modes and set your own operation to suit your individual needs. Also, features Boost or Low functions to make ongoing use as easy as possible. If there are any issues these will show on the screen to alert you. Zodiac use nothing but the best and we incorporate reverse polarity (self cleaning) technology to keep cell cleaning to a bare minimum. Plus the clear housing makes it easy to see when it needs any attention. Ei Xpert comes in 2 sizes, compact and mid-size, use this graph to see which size you will need to suit your pool in your climate.